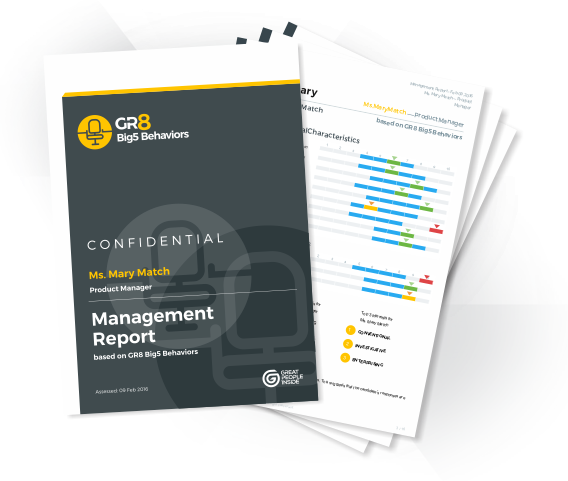 As a starting point in analysing human behaviour, the GR8 Big5 Behaviors focuses on exploring the personality dimensions that are most conducive to high performance. From conscientiousness to stability and openness to experiences, all the character traits available in this assessment have a significant input in predicting future performance. Along with GR8 Cognitive and GR8 Interests, the GR8 Big5 Behaviors offers the most advanced job performance prediction solution currently available.